What is Instinctive All-Wheel Drive? What is instinctive AWD? Scottsdale drivers who want the peace of mind that comes from an all-wheel drive system should check out the innovation that Jaguar has in store. 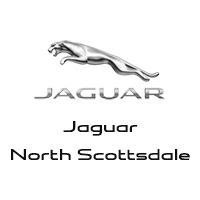 Learn more with Jaguar North Scottsdale below! Jaguar is renowned for ultimate handling thanks to its rear-wheel drive setups, which is why the automaker finds it important to retain this control, even with Jaguar Instinctive All-Wheel Drive. When driving conditions are normal in Paradise Valley, 90% of the engine’s power is sent to the rear wheels – which can go up to as much as 100% with full acceleration on a dry surface. However, when additional traction or torque is needed up front, the system automatically transfers the exact amount required to handle the situation at hand. When conditions normalize again, power returns to the rear wheels. A major component of Jaguar Instinctive All-Wheel Drive is Intelligent Driveline Dynamics. This technology is able to predict traction loss, rather than react to it. In fact, the IDD system contains advanced algorithms to determine if the car is headed for traction loss and which wheels will be affected. And the moment a prediction is made, the system transfers torque to the wheels that need it most for better grip and control. What’s more, Jaguar Instinctive All-Wheel Drive with Intelligent Driveline Dynamics is always activated to continuously monitor where power is needed. Connect with the team at Jaguar North Scottsdale to learn more about instinctive AWD and to plan your visit to browse our new car selection and used Jaguar inventory! 0 comment(s) so far on What is Instinctive All-Wheel Drive?